The month of April is dedicated to a very special piece of Hawaiian culture. This part of the beloved island lifestyle is actually served in a rectangular can. If you haven't guessed it yet, we are sure you are probably pretty close. In April, we celebrate our love for Spam! Every year Waikiki throws a giant food festival in honor of Hawaii’s favorite food called the Spam Jam Festival. This is the 17th year of the annual event and it just happens to draw a pretty large crowd—35,000 people to be exact! This makes Spam Jam Waikiki’s top food festival, and certainly the most popular. Spam can be found in almost every household in Hawaii so it's no surprise that this canned meat has developed a cult-like following. Come out and enjoy a Spam-filled afternoon with thousands of other loyal lovers and leave the Pacific with the feeling that you are one with the islands! Hawaii is a gem. There are not many places quite like it around the world. From the breathtaking mountains to the spectacular swells, this island was created to suit every type of person based on nature alone. But the island of Honolulu would not be nearly as spectacular if it weren’t for the amazing people that inhabit this little slice of mortal heaven. One of the best ways that we celebrate our home is by joining in on the fun at the Honolulu Festival. This festival takes place every March and is a great way to see the real meaning of the island spirit. Be sure to park it early for the main event on Friday, March 8th — The Grand Parade. 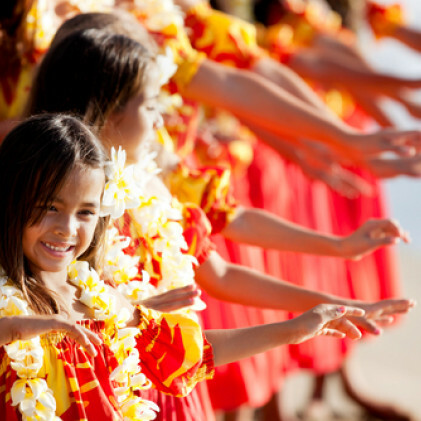 This isn’t your average celebration, you can expect to see hula dancers, magnificent floats and a ton of fun Hawaiian culture. The Island of Honolulu invites you to be part of our special day and Pacific harmony! Alohahahaha! Don’t be alarmed, that’s just how we say hello during AMAZING! Comic Con Aloha! Whether you’re a superhero lover or a fan of cosplay, AMAZING! Comic-Con will have just the right things for you. We are so excited about this year's event to land on the island. At the end of February, superheroes and villains from all over the world will be joining us for a weekend full of fun, mystery, and obviously, meet and greets with artists and celebs. The comics will be coming to town on February 22nd until the 24th, just a skip away from the hotel at the Hawai‘i Convention Center. This years event will have some of the largest comics in the game alongside some of our local talents. Be sure to pack your best cosplay outfit and get in on all the fun during this real-life animated weekend! Catch a Glimpse at a Whale of a Tail! People travel to Hawaii from near and far to catch a glimpse one very big thing this time of year — the whales tail! If there is one thing you can count on every winter in the islands, it is definitely the humpback whale migration. These beautiful creatures swim for six to eight weeks every year from Alaska to Hawaii to bask in the warmer waters and mate. 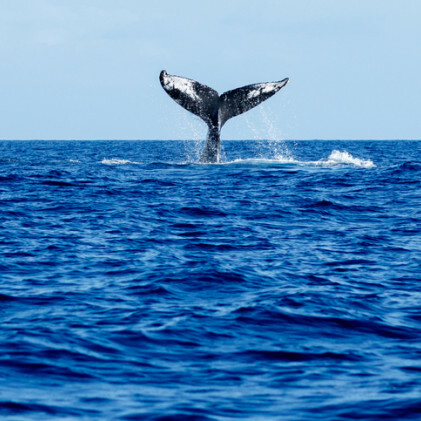 Book a tour during your visit and see if you are one of the lucky ones that get to see these whales breach the ocean surface. Most companies guarantee that you will see at least one whale or they will take you out again for free. There is nothing more special or thrilling than to experience being so close to these giant mammals — when they break the surface your heart will be racing and an involuntary smile will form, seeing these gentle giants in the wild is an unmatched experience. Hawaii is just like any other state during the holidays, except for a few minor details. Our winter traditions may seem a little off to most of you on the mainland, but we can assure you that they are nothing short of amazing. Yes, we realize that most of the mainland gets a little chilly during this time of year, and that cozying up by the fire with hot cocoa is the thing to do, but if you're in Waikiki this holiday season you’ll notice that all the locals are heading to the beach with surfboards in tow! And while snowmen are being built all across the country, Hawaiians go with something a little more practical — typically known as the SANDMAN! But not to worry, we are not too different. While eggnog is being served at your office party, the holiday version of a Mai Tai is over on the bar waiting to be sipped. Mele Kalikimaka to you and yours this holiday season! We can’t call it a vacation if we have not made at least one shopping trip during our visit to Waikiki! 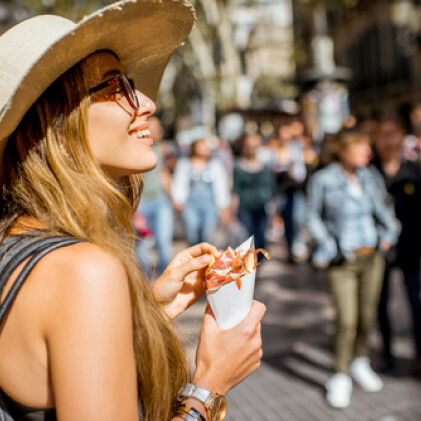 Although here in Hawaii we are known for our beautiful beaches, surf culture, hula dancers, and delicious food — we want to make sure that you do not overlook the incredible shopping scene. With hundreds of stores and countless shopping areas to choose from you may want to pack an empty bag to bring all your goodies home in. 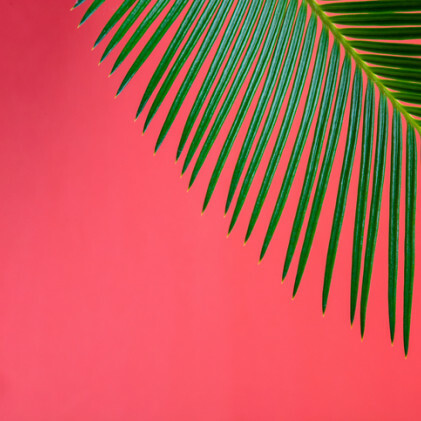 One of our favorite shopping areas is Royal Hawaiian Center — we love this area for the high-end stores, chic restaurants, and overall luxurious vibe. With a mix of big brand stores like Louis Vuitton and Harry Winston that share a space with local brands such as Koa Nani & Lole Hawai’i, this outdoor shopping center is one of a kind. Stroll outside in the fresh air for three blocks of premier shopping, its a perfect way to spend an evening in Waikiki. Waikiki is an island based around tradition, from the classic hula clothing to the delicious poke that has been served since the beginning of time. And a Hawaiian bucket list moment is definitely attending a luau. A luau is a decadent party doused with ancient Samoan and Polynesian rituals, including food, music, and dancing. As long as tourists have been visiting the Hawaiian Islands, luau parties have been available to the public. This style of party has typically been thrown to celebrate close family members birthdays and other important moments. But as time has passed, this event has become so popular that you can now find a luau party every single night of the week. Book your seat well in advance to ensure that you can attend the exact party you’d like — each performance is alive with beautiful colors and rhythmic dancing. No matter the luau you choose to attend, you’ll be sure to have an incredible experience every single time. Venture up to Nuuanu Pali Lookout to see the best panoramic views on the island. An easy drive on the Pali highway will bring you to this amazing lookout. You’ll be entranced by the lush, natural beauty of Hawaii while you slowly make your way out of town. Although its a short drive to the lookout Waikiki will feel miles away. The mighty wind of Oahu gathers at this looking point, so be sure to bring a sweater with you. "Pali” is the word for "cliff", and that is exactly what you will be standing on while you are there. Although the Nuuanu Pali lookout is indeed beautiful, it is also an important historical setting for all of Oahu. Nuuanu Pali doubles as the site of The Battle of Nuuanu, which is where King Kamehameha I finally won the battle to unite all of Oahu in 1795. Experience this magical place and be swept away by the breathtaking views while staying here in Hawaii. Sneak away from the hustle and bustle of downtown Waikiki and try your hand at beach yoga. It is the only way to meditate the day away — yoga is a light workout that is meant to free the body and the mind, it is the perfect exercise treat while you are vacationing in Hawaii. A few of the most common poses that you can expect to see are downward dog, child's pose, and the three warrior positions. There are many different groups that practice beach yoga every single day, choose the level that makes the most sense for you and get down and sandy right before the sun sets. Check out all the different yoga classes in Waikiki here. There is no better feeling than stretching out your limbs and centering your mind, while you are away from reality. Sign up for a class today or talk to our concierge about yoga studios in the area. Turn your tropical vacation into an educational one by visiting Pearl Harbor. Pearl Harbor was the surprise military strike by the Imperial Japanese on the morning of December 7, 1941, in Honolulu. This historic event was devastating to the United States Military’s fleet and soldiers. Today, you can go pay your respects and learn more about this day by visiting the site that remains in Hawaii. The USS Arizona is still accessible by a memorial site that sits over top of the watery gravesite, as well as other battleships and fighter planes from this day. You can plan your visit through their website or you can stop by and talk to a concierge today to set up travel arrangements. Be a part of history and bring your loved ones too, it is an experience that will stay with you for a lifetime. Father’s Day is right around the corner and its time to let your dad show you who’s boss! Learning the way of the water can be tough to do on your own, so this Father’s Day treat your dad to a one of a kind surf lesson in Hawaii — an experience he won’t soon forget. There are ton’s of surfing schools all around town and you can organize a private group lesson with the entire family. This one-hour experience will give you the true essence of the island while having a great time celebrating your father. Once you get the hang of the wave, you can rent your own boards and practice on your own. A full day on the water will leave you salty, sun-tanned and sleepy, the best way to be when visiting Waikiki. E HE’ENALU KAKOU — Let’s Surf & Happy Father’s Day! Every day in Hawaii is beautiful, however, some days are more beautiful than others. The month of May is a very important month here in the islands because it is a time where we honor our fallen heroes. On the last Monday of each May, the entire country honors those who have died in active Military service. Everyone has a different way of expressing their gratitude and honor, here in Hawaii we float lanterns. This tradition began in 1999, and has been celebrated every year since. Hawaii is a melting pot of culture and tradition and over time our rituals have merged. Over 50,000 people line the coast of Ala Moana Beach to send off flowers and offerings to those that have passed away. Observe this spectacular event in person or watch the live stream on the internet — it is an incredible way to show gratitude and remembrance to our fallen Americans. Learn more about the Lantern Floating Hawaii Memorial Day here. Rum is the official/unofficial vacation drink — so it has been officially/unofficially declared that Rum Punch is here to stay! At almost every island destination you visit, you can be sure to find some version of a rum cocktail. Here in Hawaii, the Mai Tai is our drink of choice, but it wasn’t always. The Mai Tai was originally created in Northern California by Trader Vic. The original recipe was a simple blend of white rum with orange curaçao, a dash of lime juice and orgeat syrup, topped off with a dark rum floater — straight and to the point. A few years later, Vic introduced his creation to Hawaii, but not before topping it all off with pineapple and orange juice, renaming it the Royal Hawaiian Mai Tai. This new version brought out a more tropical flavor and flirty attitude of the already-famous rum punch. Shock the bartender on your next visit by calling this cocktail by its original name — you’ll be treated like royalty. PSA: Hawaii’s most well known flower is not a native Hawaiian. The lovely Plumeria flower is often the flower draped around the necks of natives and visitors alike. There are few other flowers that show the essence of Hawaii. The popular plumeria flowers are traditionally strung into lei’s and worn on the left or right ear to symbolize relationship status. Although it would seem that the plumeria is from the volcanic islands, it actually was transported from Europe by a German botanist in the 1800’s. Thanks to Hawaii's tropical climate and rich soil, the plumeria have been thriving ever since--and thank goodness, because the vibrant colors and tropical scents have truly become a staple to the Hawaiian lifestyle and culture. The next time you're choosing a floral lei, be sure to take a minute and reflect on how different Hawaii might be without these precious petals. Dreamy, sandy shores, vibrant fish, and the aloha spirit — it does not get much better than this. Learn about Oahu’s marine life on your visit to Hanauma Bay State Park. Hanauma Bay was once a meeting ground for Hawaiian Royalty — an exclusive spot for leisure recreation and fishing — it has since become a learning playground for people from all over the globe. This unique snorkeling destination is formed within a volcanic cone and inhabits and protects hundreds of different species of fish and marine life with its cone like atmosphere. Hanauma became protected in 1967, after an influx of visitors began to damage the natural reef. Regulations were set in place but were not properly enforced until 1990, when Oahu decided to restore and educate those who stopped by the ‘curved bay.’ It has since been voted ‘The Best Beach in the United States’ and still strives for conservation and education, with a heavy dose of fun in the sun! Take two steps in any direction and prepare to be bombarded with the heavy surf culture that surrounds our every day life here in Hawaii, surfing is a Hawaiian original. One of the most celebrated surf pioneers of all time is an Olympian and die hard water lover, Duke Kahanamoku. A Hawaiian native, Duke was born right here in our favorite city, Waikiki. He was born in 1890 to his father Duke and mother Julia and lived to be 79 years old, he is still one of the most important surfers in the history of the world, revolutionizing the sport to an international level and spreading it from continent to continent. Take yourself on a walking tour along the water to see Dukes nine-foot bronze sculpture that towers over the board walk — it is usually dressed with fresh leis and a healthy crowd nearby — and thank him for bring our world together through the rhythms of the ocean. In the last few years Poke has become a household term — a food that has recently surfaced from coast line to coast line. Similar to sushi, a common misconception is that it is the savvy way to eat raw fish. When really Poke has been a staple in local Hawaiian diets since fish knew how to swim. Throw on your bikini or trunks and make your way to the beach — but be sure to bring along Hawaii’s staple street food, you guessed it Poke! Choose from an array of fresh caught fish over rice and generously top it off with avocado, spicy mayo and other yummy island treasures. This seemingly simple dish is actually an extremely complex meal packed with flavor and diverse texture. Light and refreshing, it is no wonder Poke has been a staple — don’t miss your opportunity to test out the original Waikiki Poke! A sway of the hips, a flick of the hand, listen to the rhythm until you hit sand. Hawaii is known for its iconic Hula dance — a mesmerizing way to tell the story of the islands from long ago. This beautiful dance was created by the Polynesian settlers long before the 19th century, to depict the natural beauty of the world around them. The traditional outfits and steady music have been drawing people to the Hawaiian islands for years, and there is no sign of a decline in this interest. Every Tuesday, Thursday, and Saturday, you can catch a sneak peek into this creative world and come see a show for free on the shores of Waikiki. Be sure to reserve your spots early over by the Duke statue on the grass — no matter how many times this dance is preformed, it still draws a giant crowd every single time. Sit back and enjoy the true current of Waikiki. One step at a time, make your way up to the iconic volcanic crater that defines Waikiki today. The extinct volcano that sits on the edge of the Pacific Ocean is a panoramic staple in Honolulu and goes by the name of Diamond Head. Try your hand at this .07 mile hike, the views alone are completely worth it! Easy for adults and children, but be sure to pack plenty of sunscreen and water. This moderate hike takes about a hour to climb and half the time to go down — but leave yourself enough time to daydream once you reach the peak. There are not a lot of things that feel better than exerting yourself to the pinnacle of a mountain... or in this case, a volcano. But the views are not the only rewarding feeling you'll have after climbing Diamond Head. Let yourself shine with just a few simple steps!